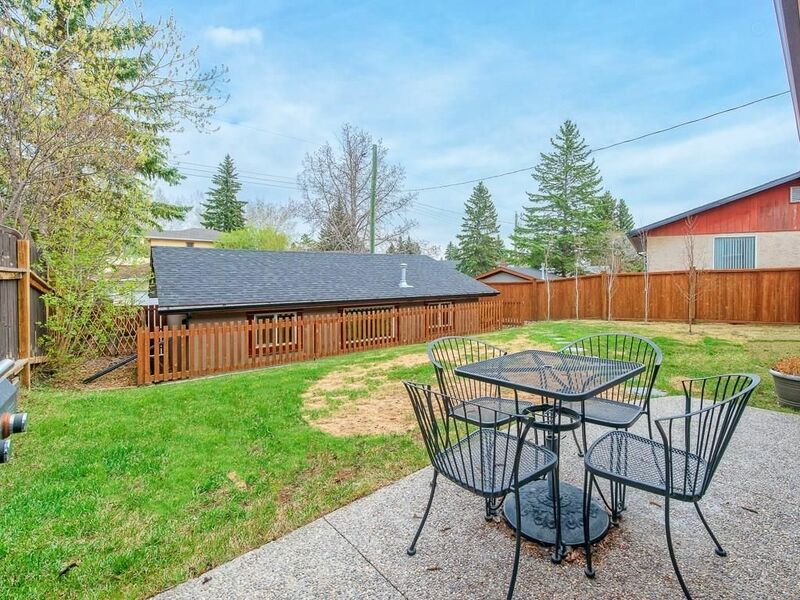 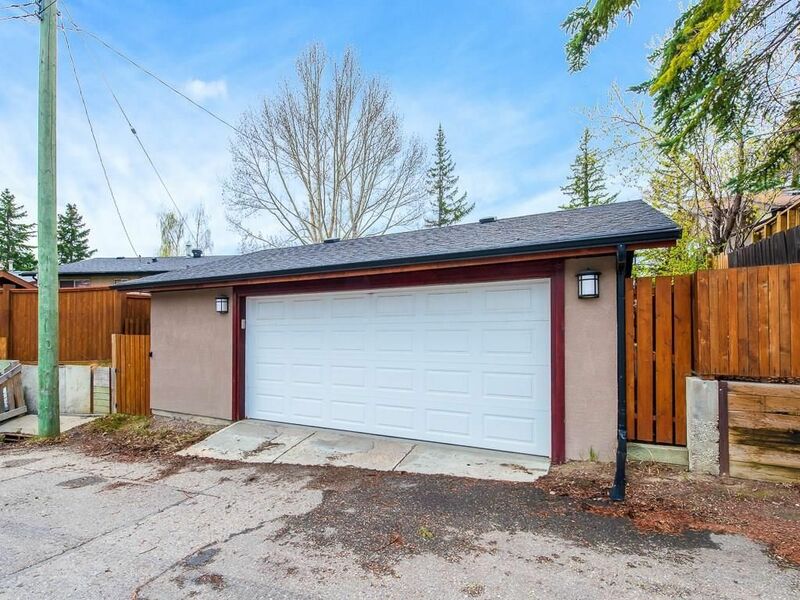 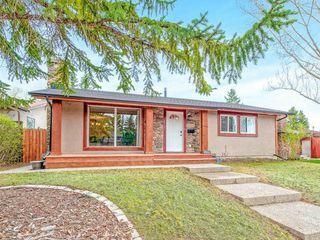 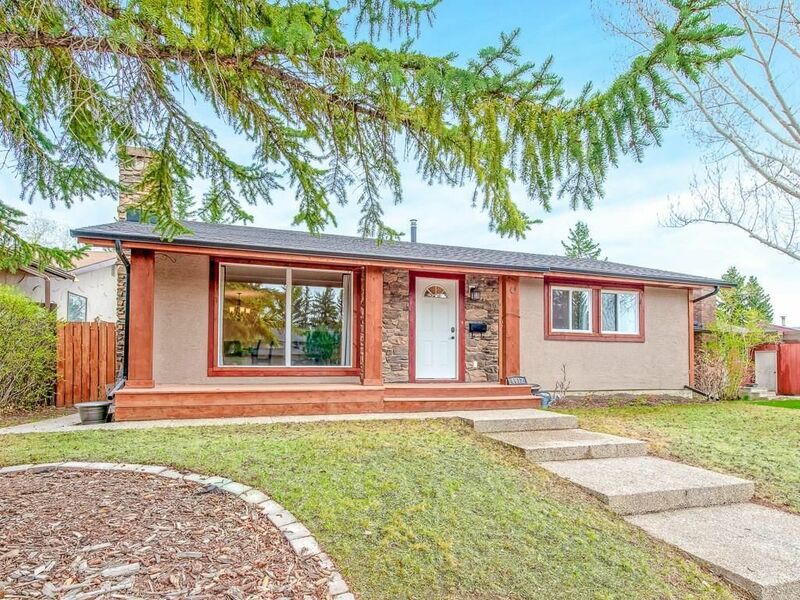 Fantastic bungalow situated on a quiet family friendly street just steps from Bowmont Park, schools, outside pool, transit, multiple parks and amenities in sought after Silver Springs. 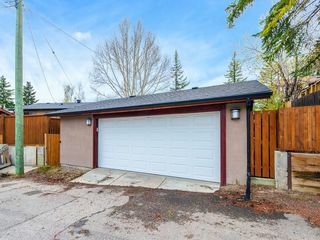 Spectacular curb appeal showcases exposed concrete walkway, newer shingles, newer stucco exterior and covered front porch. 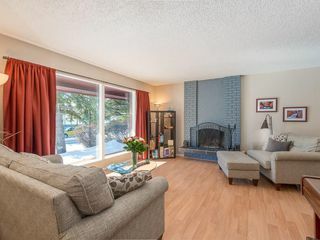 Main floor boasts front living room having wood burning with log lighter fireplace and huge front picture window allowing for loads of natural light. 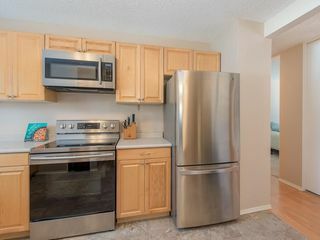 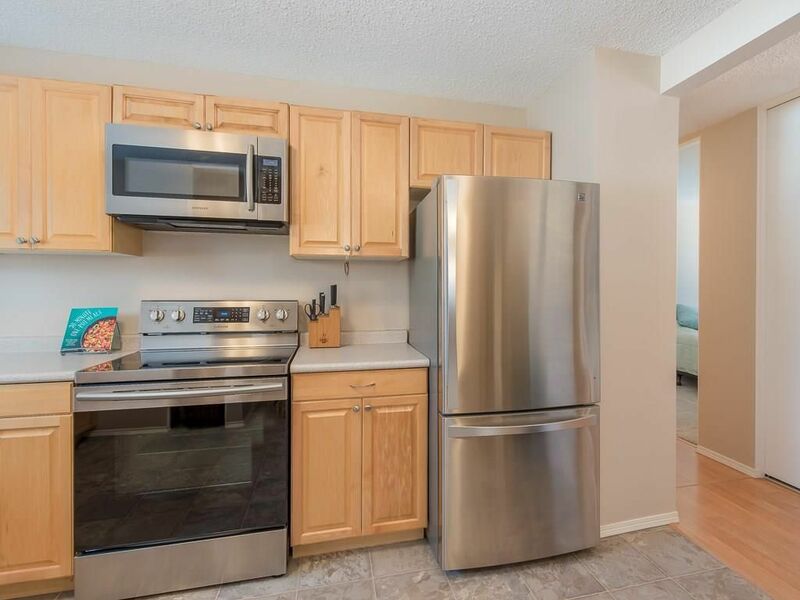 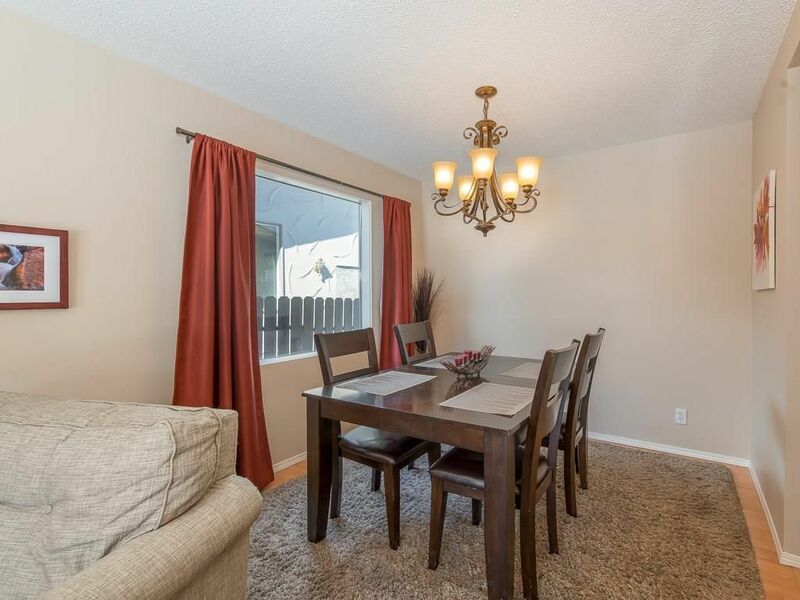 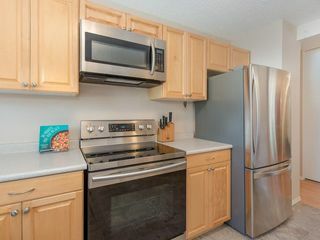 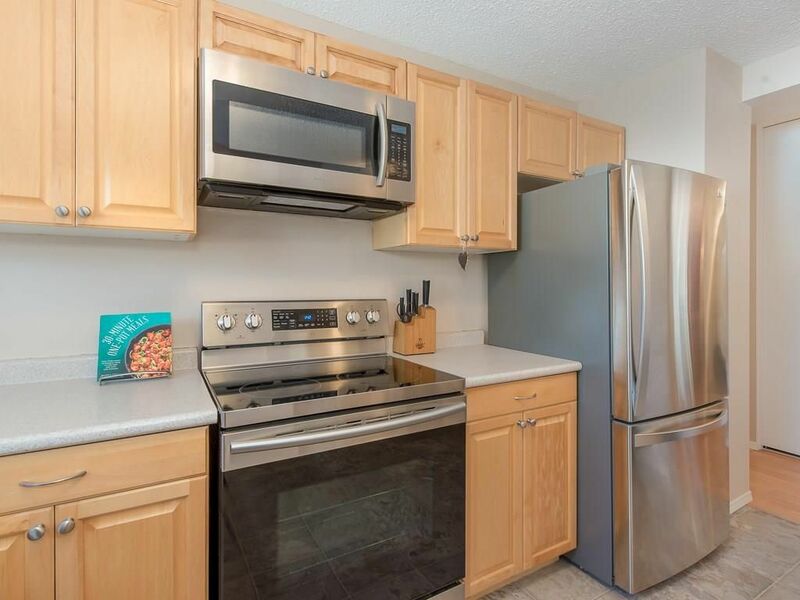 Adjacent dining room leads to the rear kitchen having newer flooring and newer stainless steel appliances. 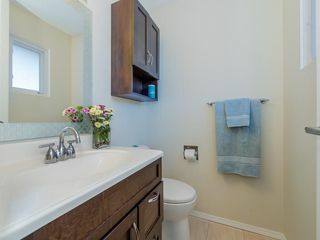 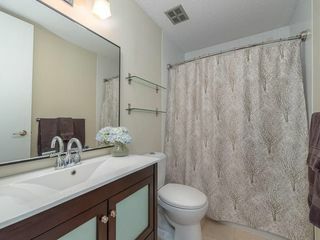 Renovated four-piece main bath. 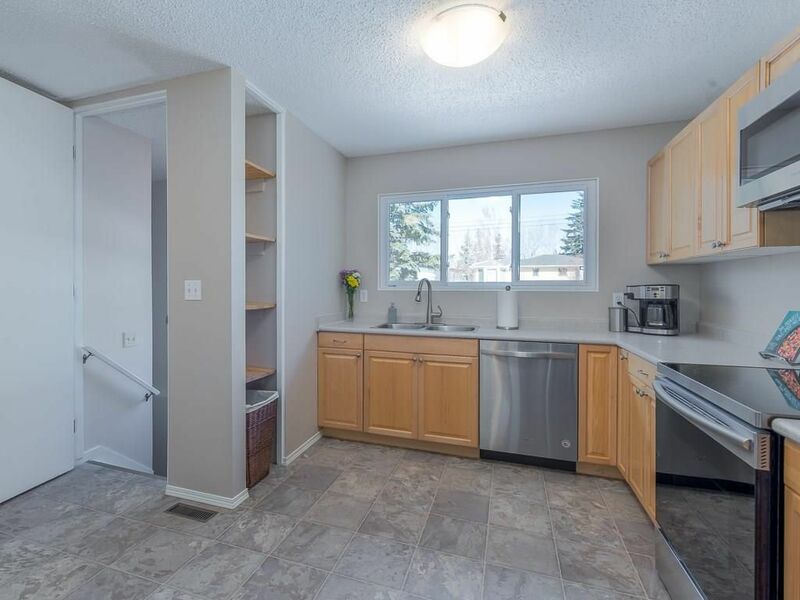 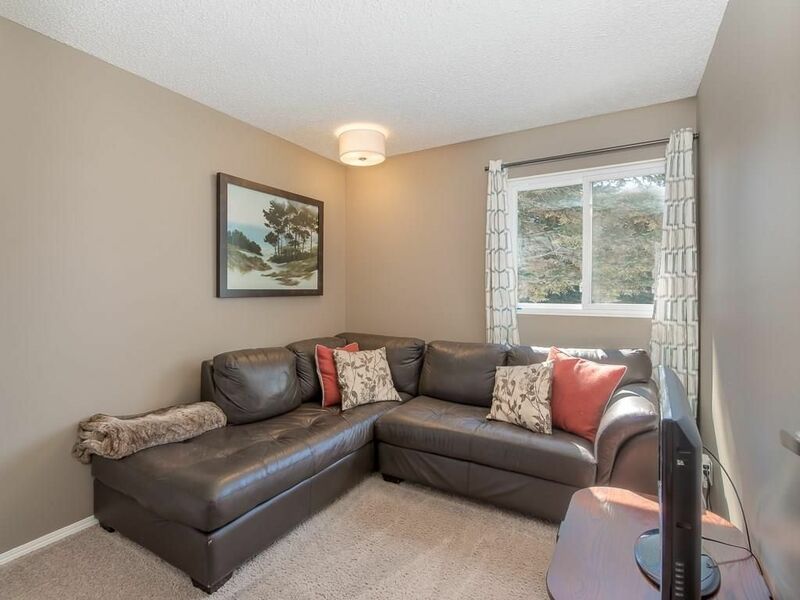 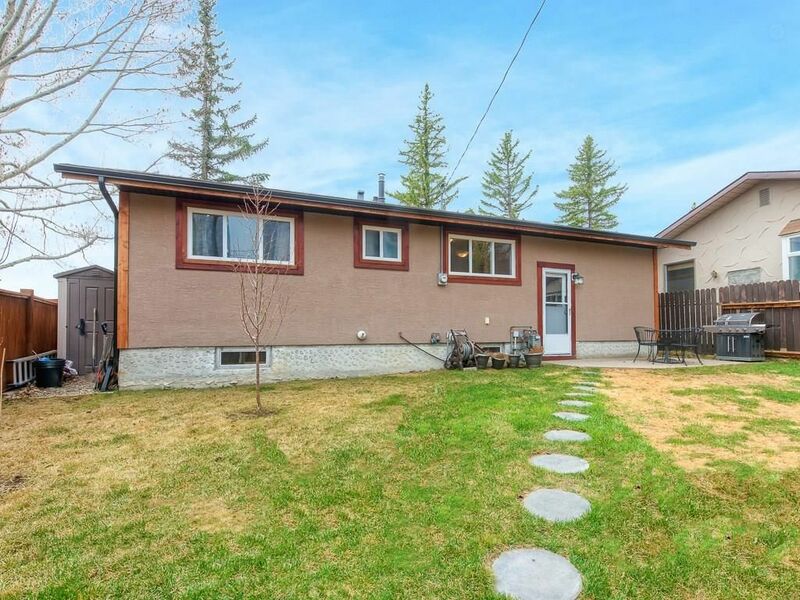 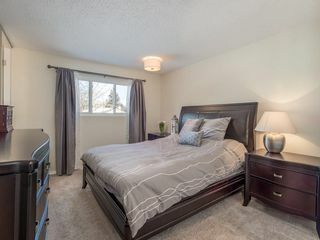 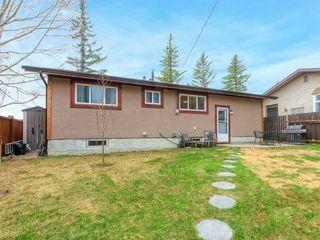 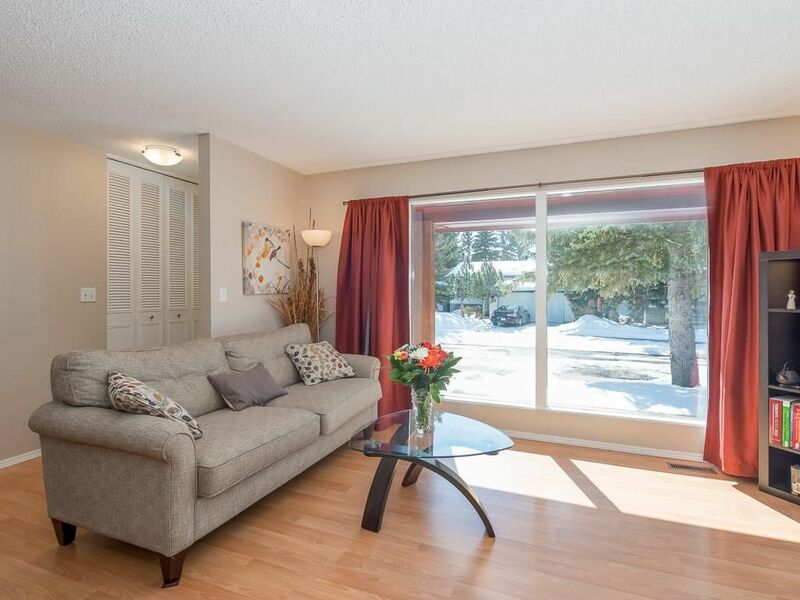 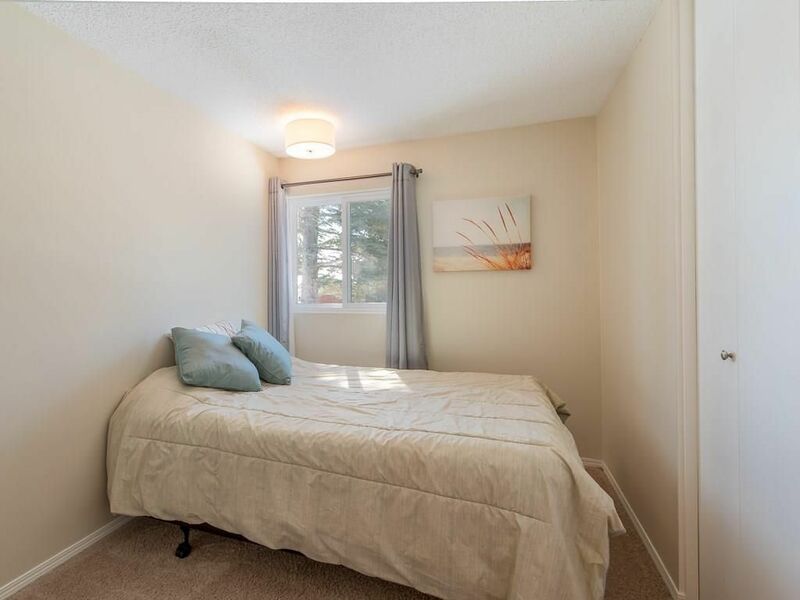 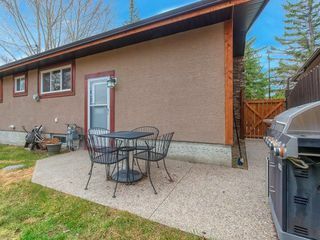 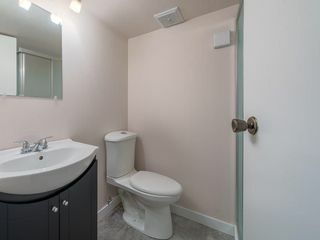 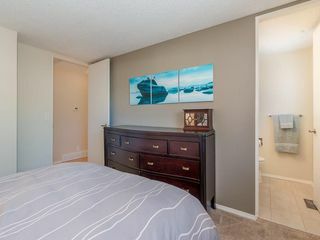 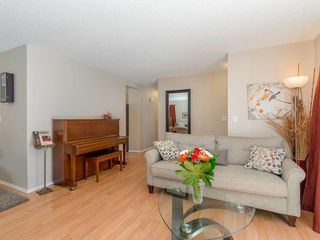 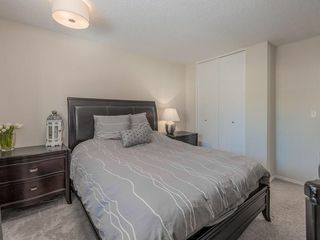 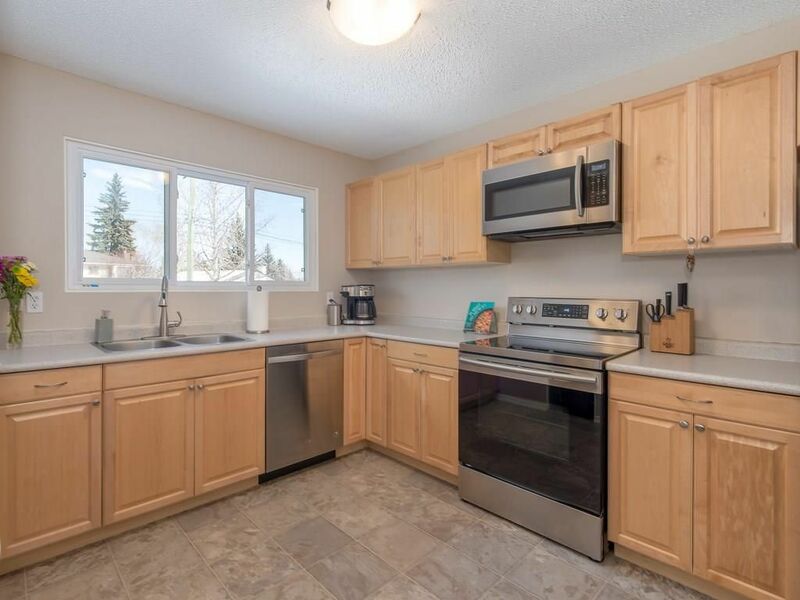 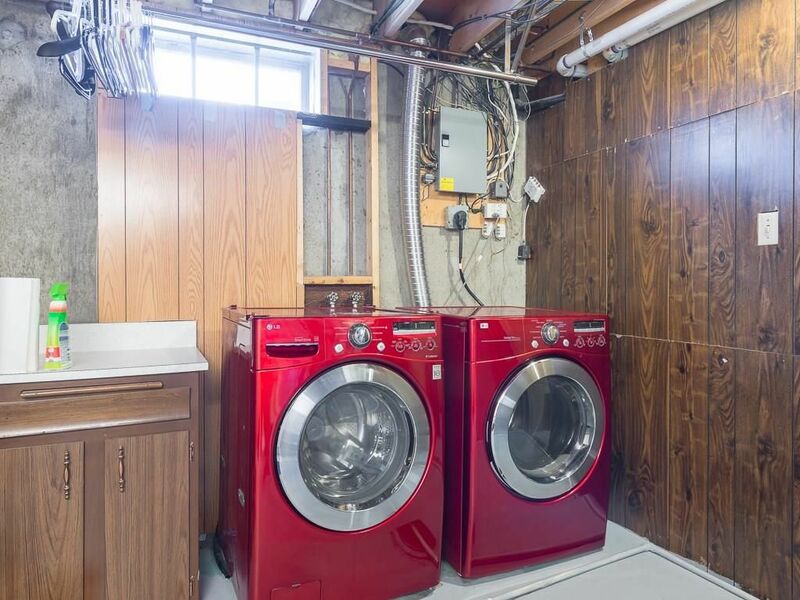 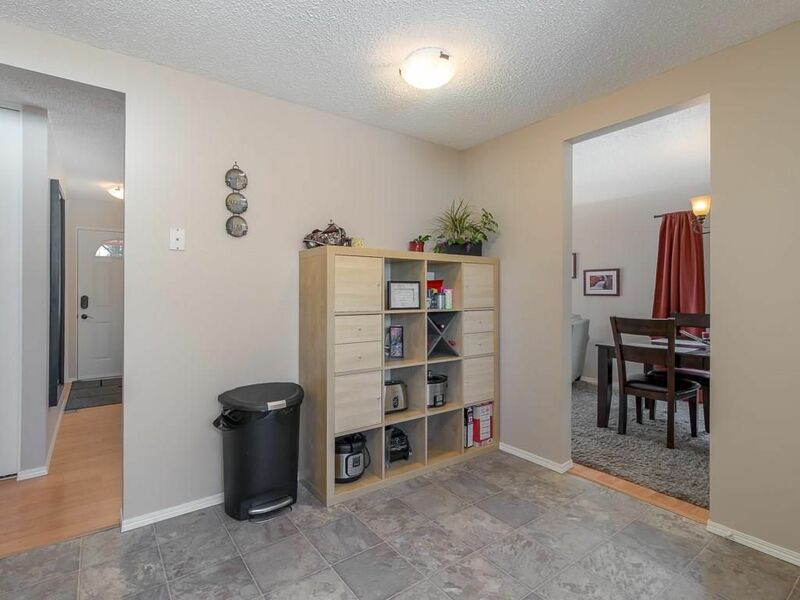 Three bedrooms up all with newer carpet, master bedroom features two-piece renovated ensuite. 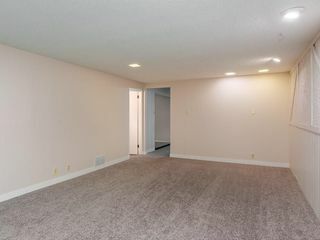 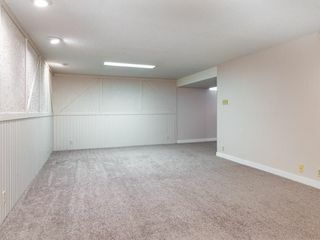 Developed basement has large rec room, flex room ideal for a home office and three-piece bathroom. 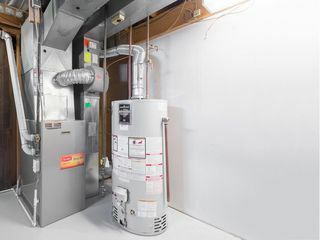 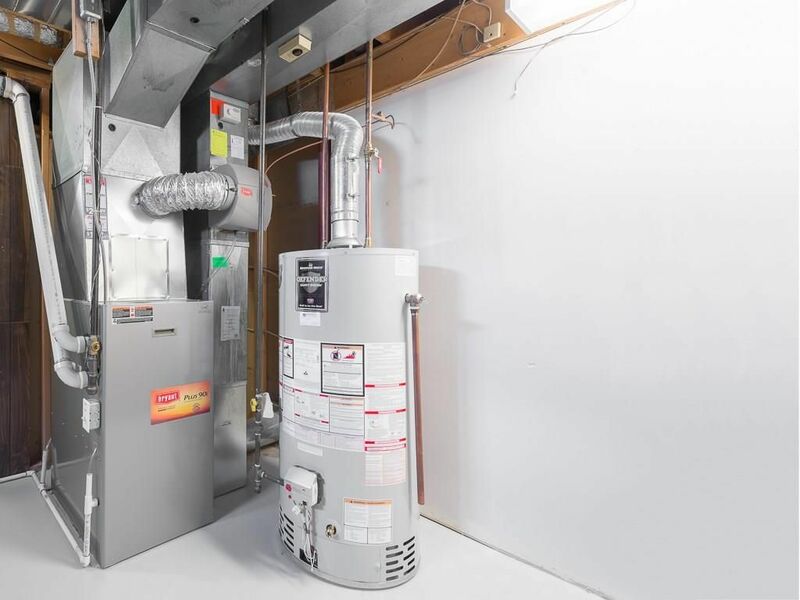 Newer furnace and hot water tank. 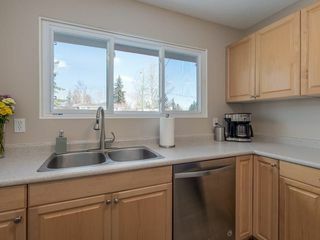 Fresh paint throughout along with many new windows. 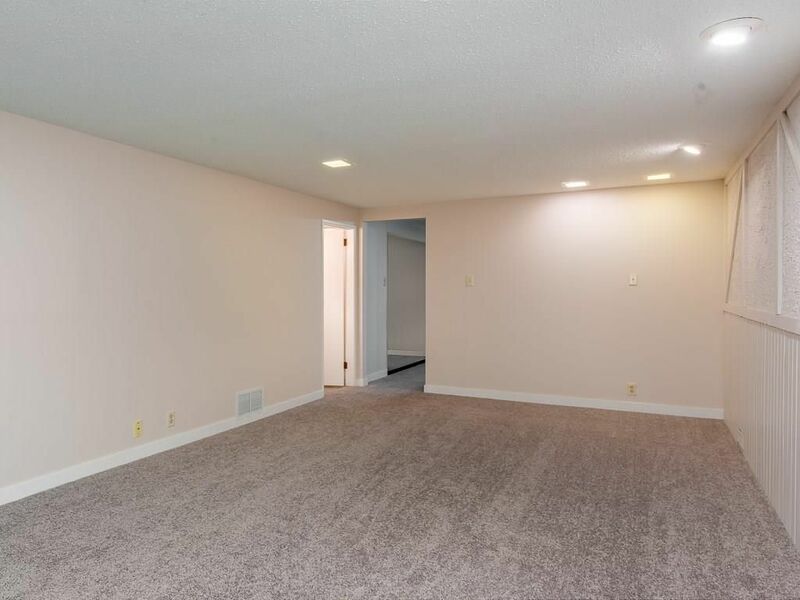 Newer oversized, insulated, drywalled and heated detached garage overlooks the paved rear lane. 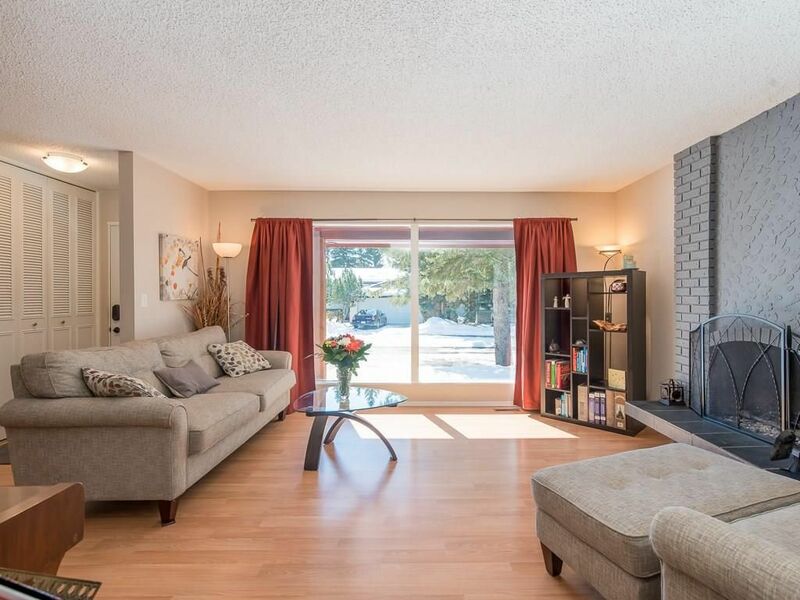 An amazing home in sought after rare location! 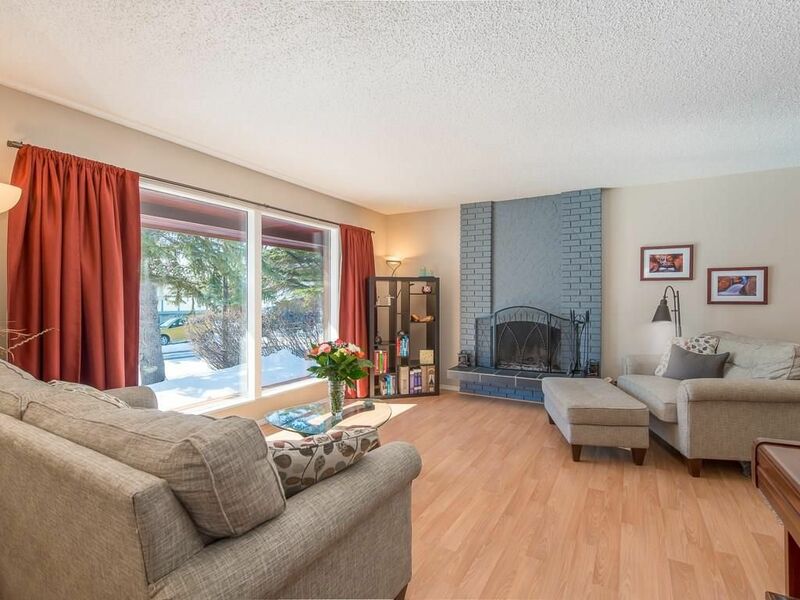 Living room with huge front picture window allowing for loads of natural light. 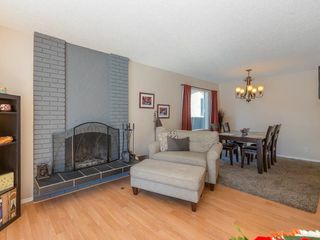 Living room with log lighter wood burning fireplace. 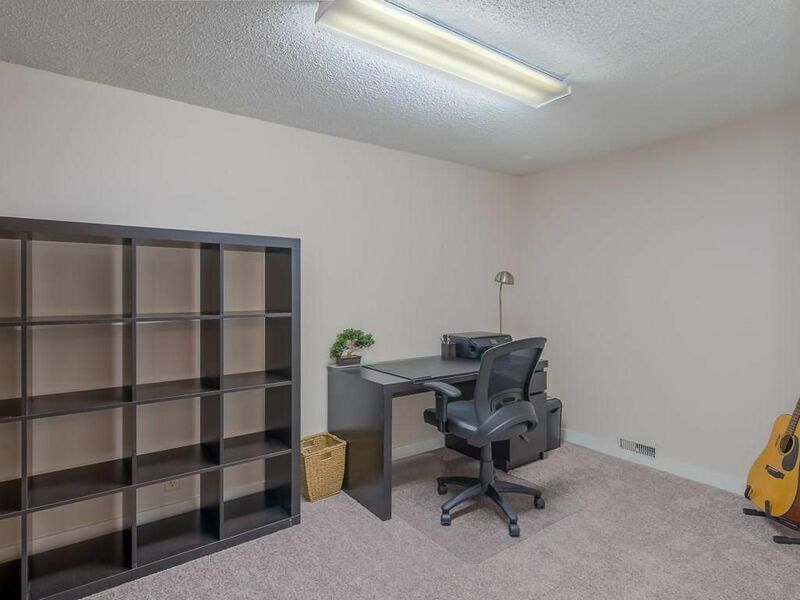 Flex room ideal for office in basement. 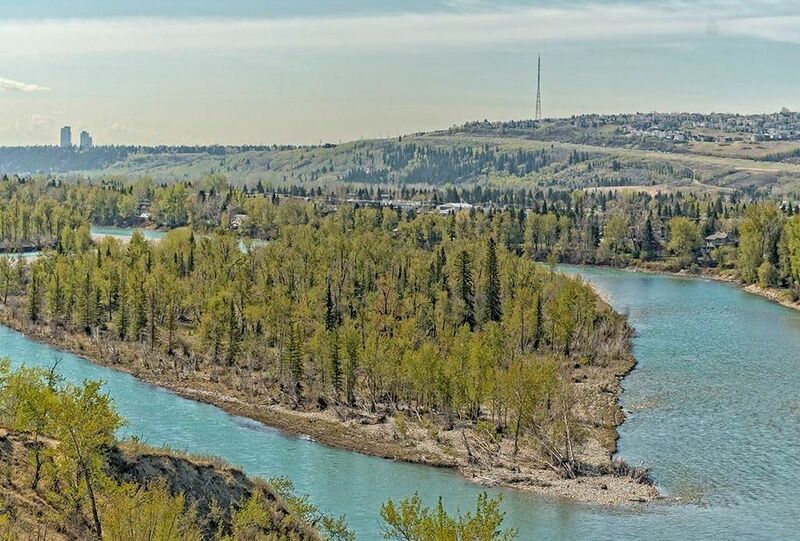 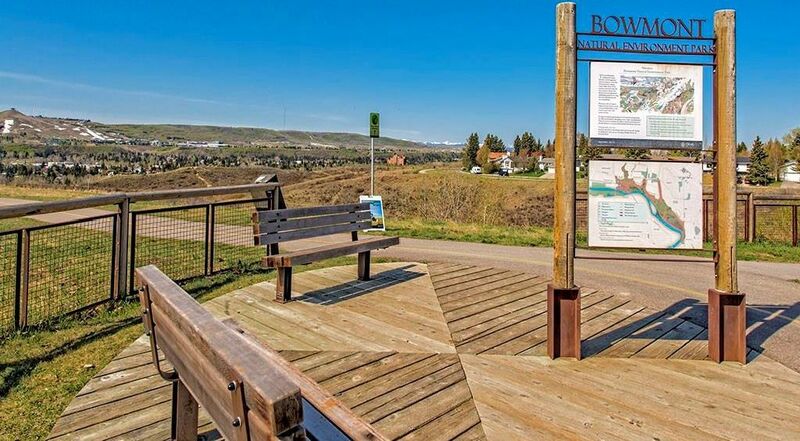 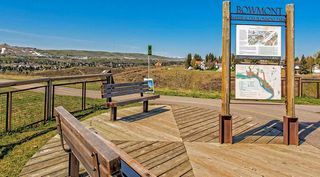 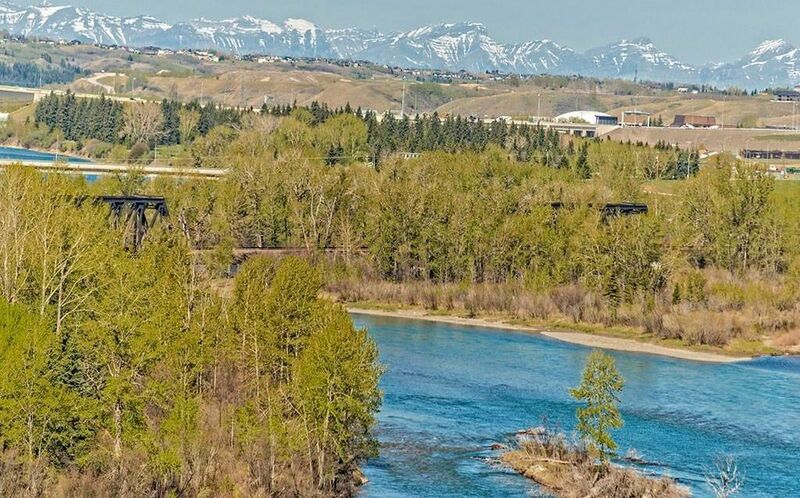 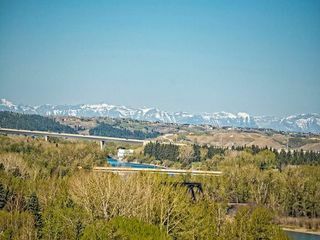 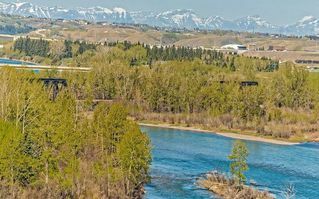 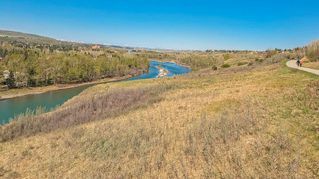 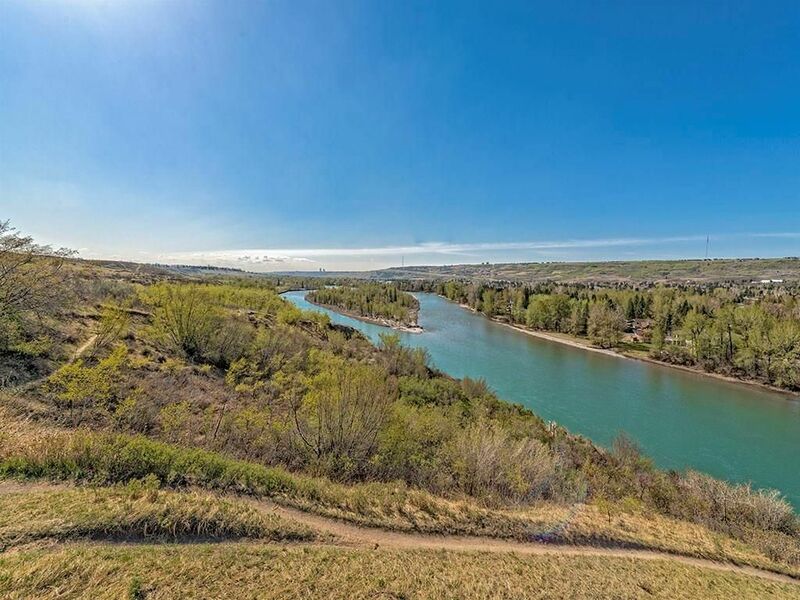 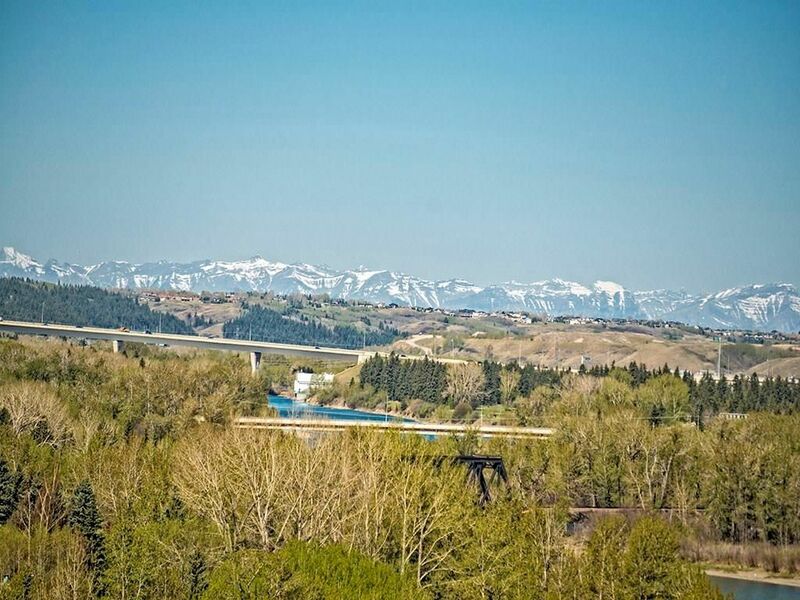 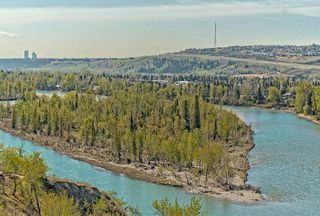 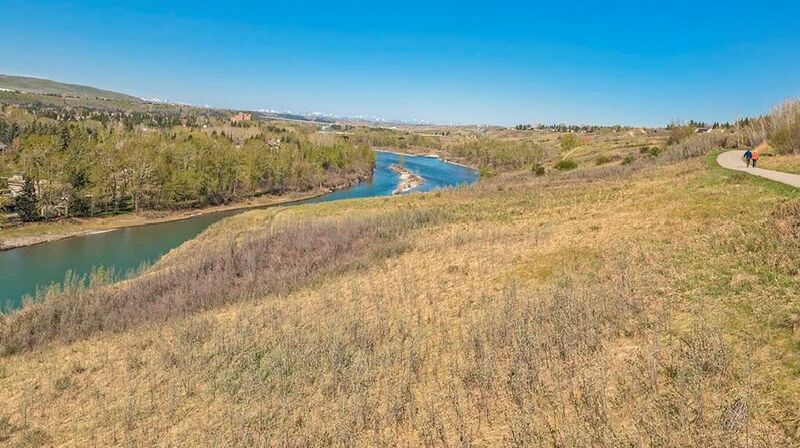 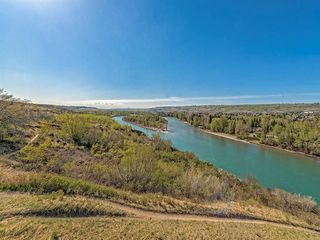 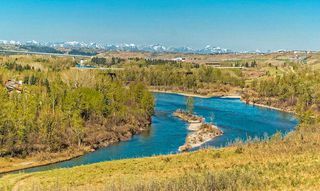 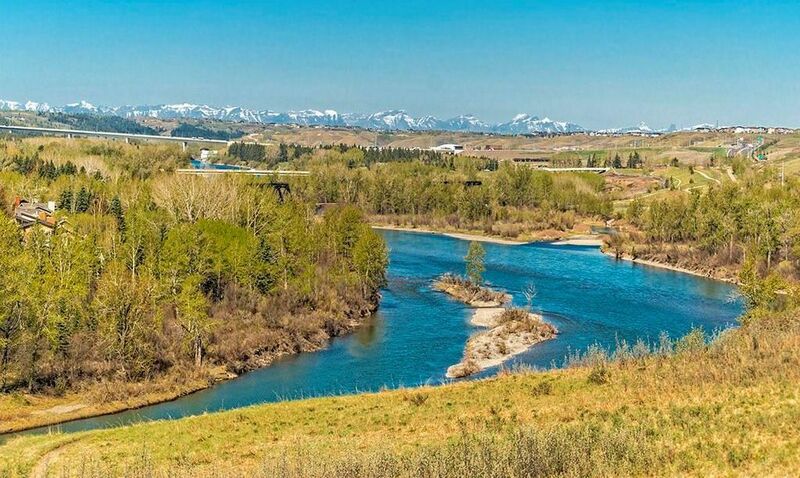 Bowmont Park with Bow River below and mountains beyond.